At just 25 years old, Francis created Jean-Paul Gaultier Le Mâle, which remains a global bestseller today; others include Iris Nobile for Acqua di Parma, Lanvin Rumeur, multi-award-winning Elie Saab Le Parfum, and a duo of fragrances for the newly-revived Carven perfume house. 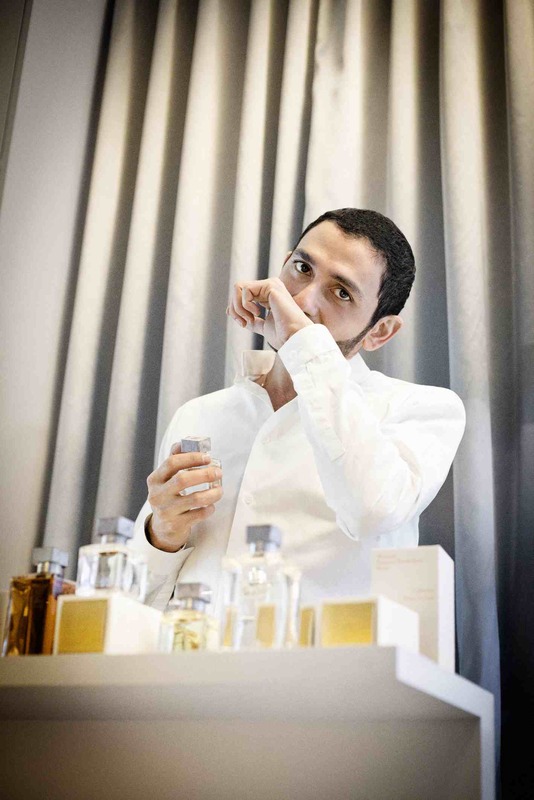 Since he first began as a perfumer Francis has been taking risks, delighting our senses – and winning awards. 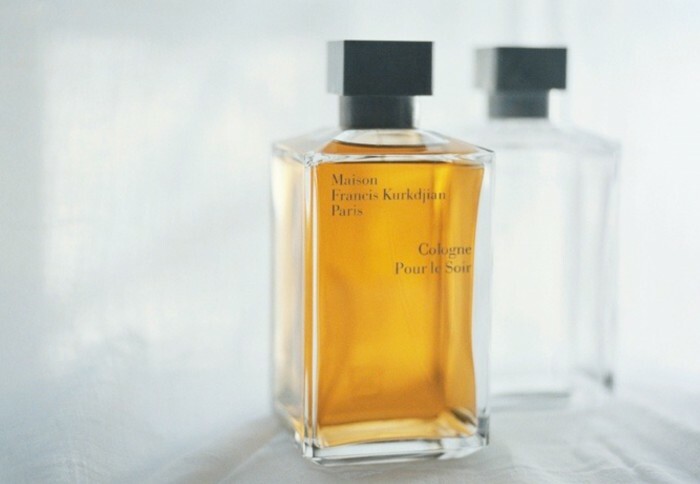 The ‘day job’ of creating some of the world’s best-known fragrances, however, has enabled French-Armenian Francis to fulfil his dream, building one of the most interesting perfume houses around: his signature Maison Francis Kurkdjian. 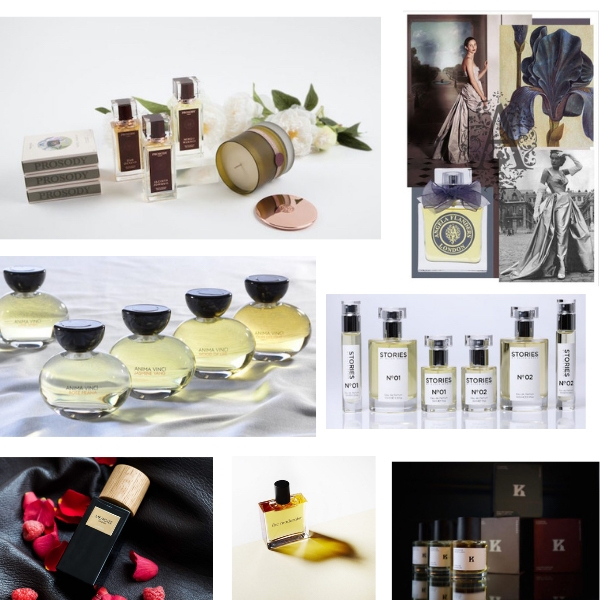 Under his own label, Francis has had absolute freedom to express his boundless creativity through a portfolio of fragrances that range from the most luminous and airy – Cologne Pour Le Matin, with its Sicilian bergamot and lemon, Moroccan thyme and Tunisian orange flower – through to an exploration of oudh‘s moods: OUD Silk Mood (Bulgarian rose, papyrus, chamomile), OUD Cashmere Mood (labdanum, benzoin, vanilla) and OUD Velvet Mood, spiced with cinnamon, saffron and copahu balm, and each tethered by a base of the highest-quality Laotian oudh. 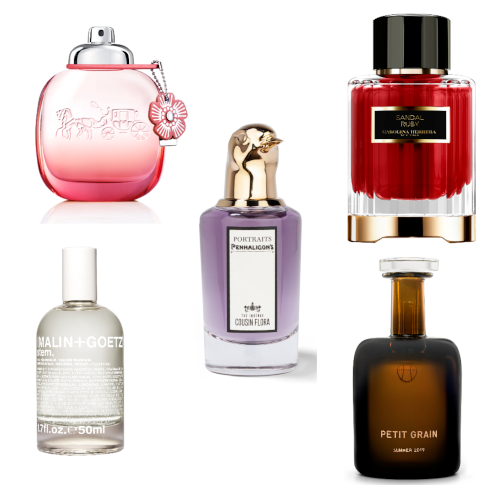 There well over two dozen fragrances in the collection – for women, men (and many ‘shareable’). Aqua Vitae – which most definitely falls into that category – is ‘the idea of sensuality,’ explains Francis. Pulsing with warmth, the inspiration for this scent came from the island of Formentera, where he pretty much spends his summer holidays on a motorbike. (For insurance purposes, Francis revealed to us, he’s not allowed to ride motorcycles in cities, but only in places with a population of less than 10,000!) The combination of the heat, contrasting with cooling air on his face, inspired this perfect balance between masculine and feminine elements. For Francis, ‘it’s the scent that represents the attraction between two people: between “you and me.”‘ So in Aqua Vitae, you’ll find Sicilian mandarin and Calabrian lemon, a soft, luminous synthetic called hedione, underpinned by guaiac wood, vanilla and tonka. À la rose – launched in 2014 – offers up two kinds of rose: Rosa centifolia from Grasse, and Damask rose from Bulgaria: a swirl of rosiness, brightened by bergamot, with a woody, powdery softness and much intrigue. In autumn 2016, two contrasting fragrances were unveiled: the dark and opulent, dressed-up Grand Soir (below right), which invites you to explore the golden radiance of Paris at night via airy vanilla, warm benzoin, toasted tonka beans and dark cistus labdanum. 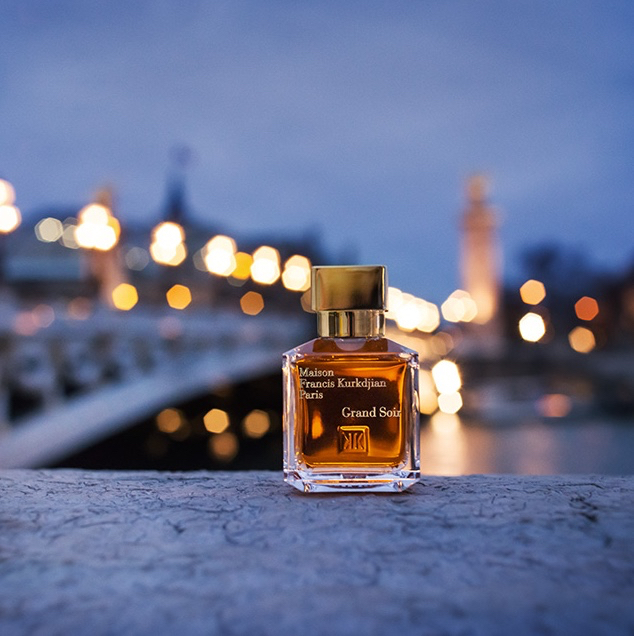 But if Grand Soir is darkness, Petit Matin is as light-filled as it’s possible to get: a gust of fresh air laced with Calabrian lemon, citrusy litsea cubeba from Indonesia, Provence lavandin and hawthorn, with musky, ambery elements extending its skin-life. Meanwhile Francis Kurkdjian‘s artistry goes beyond what’s simply in a bottle. 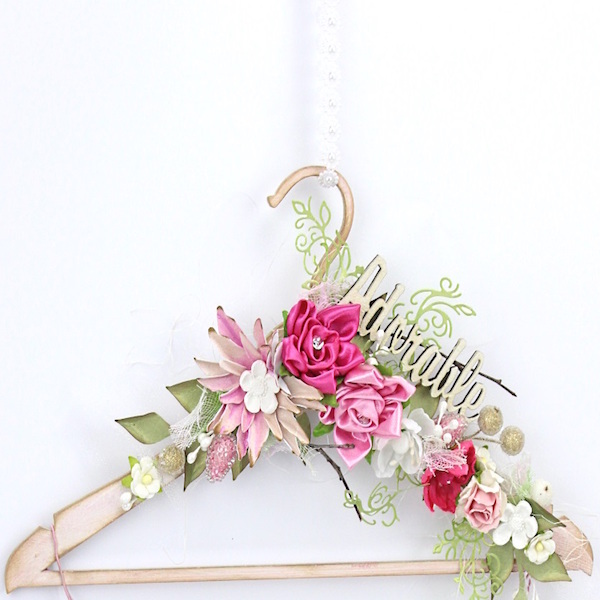 He has worked on many artistic projects. With Sophie Calle, he created ‘the scent of money’ – that of a dollar bill that’s been handled, thumbed, and passed from hand to hand, for one of her exhibitions. He devised fragrance-focused installations at the Fondation Cartier and at Versailles, transforming the fountain in the Orangerie with wafts of orange flower, propelled into the air by jets of water. In 2009, in recognition of his artistry, Francis was awarded one of France’s highest honours – Chevalier des Arts et des Lettres – by the French Ministry of Culture. His artistic projects, Francis explains, both balance and fuel his commercial creativity. 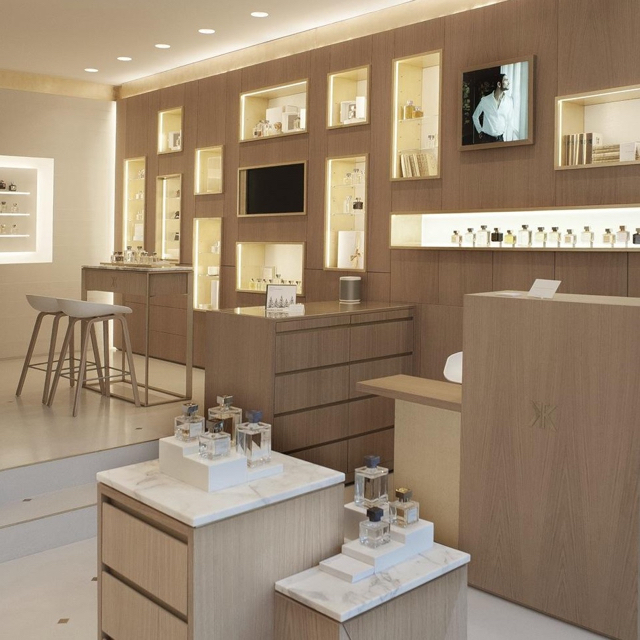 Though you can now find Francis Kurkdjian fragrances in fine perfumeries and department stores around the globe, that perfectionism certainly extends to the interiors of his boutiques, too – two in Paris, including the sleek store in the Marais at 7, rue des Blancs-Manteaux (left). Fact: however you pronounce his name, the man’s a genius.